Lake St. Clair River, Aug. 4, 2008. 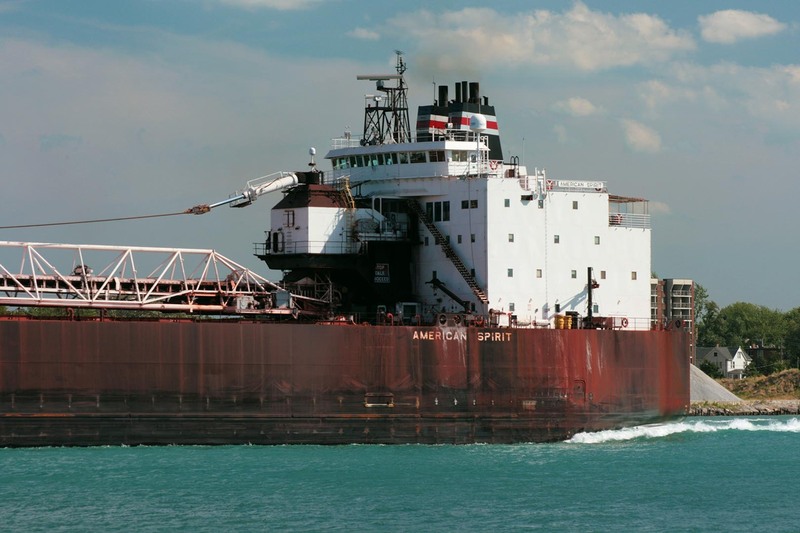 The seventh of 13 self-unloading 1,000-footers built on the Great Lakes was launched as George A. Stinson for the National Steel Corp., Cleveland, OH. 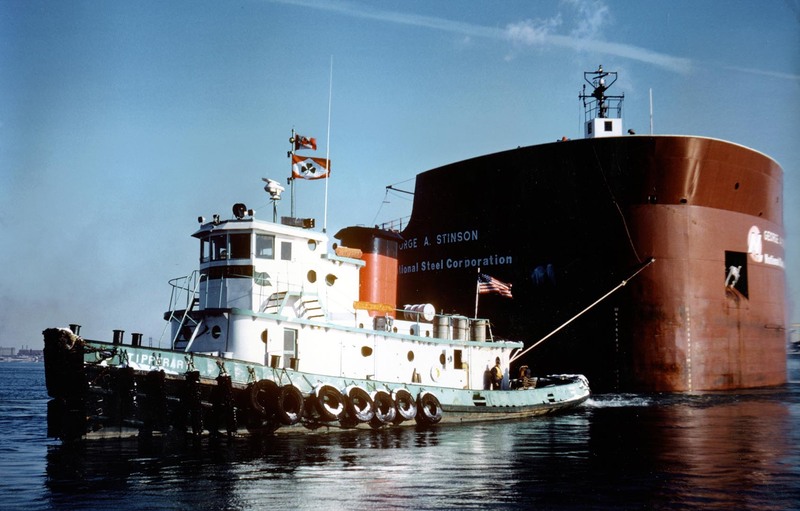 The bow and stern sections were completed at American Ship Building Co., Lorain, OH, as hull #907, while the mid-body was built at American Ship Building's Toledo, OH, yard and towed to Lorain on Nov. 15, 1977. 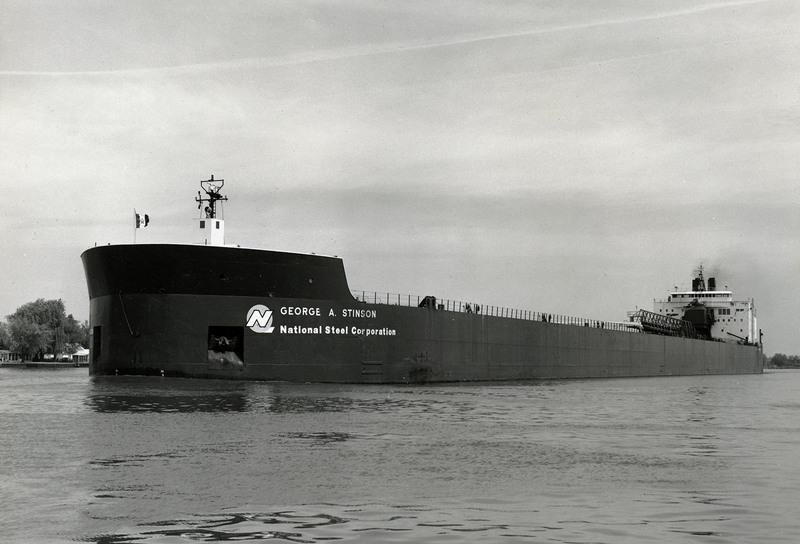 The new self-unloader was launched July 15, 1978 with formal christening ceremonies held August 21, 1978 at Detroit, MI. 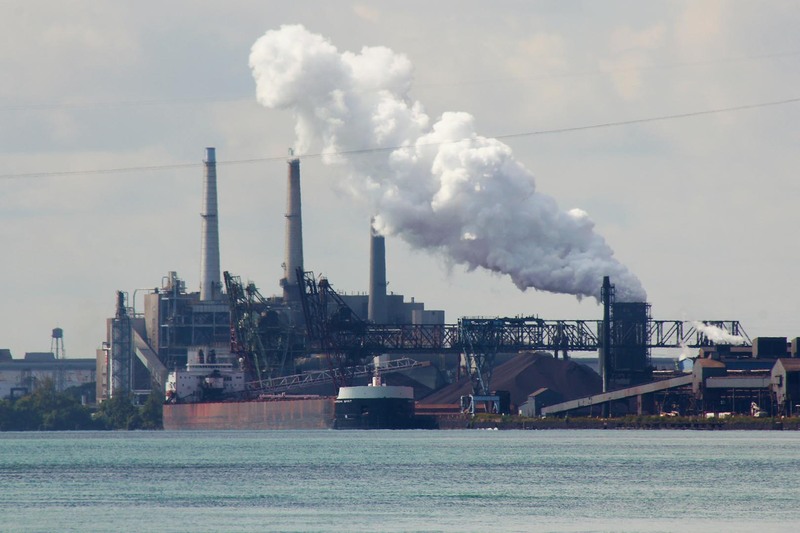 Named in honor of National Steel Company's chairman of the board at the time, Mr. Stinson dedicated the vessel to the city of Detroit and to the people and industry supporting National Steel's Great Lakes Steel Division on Zug Island. 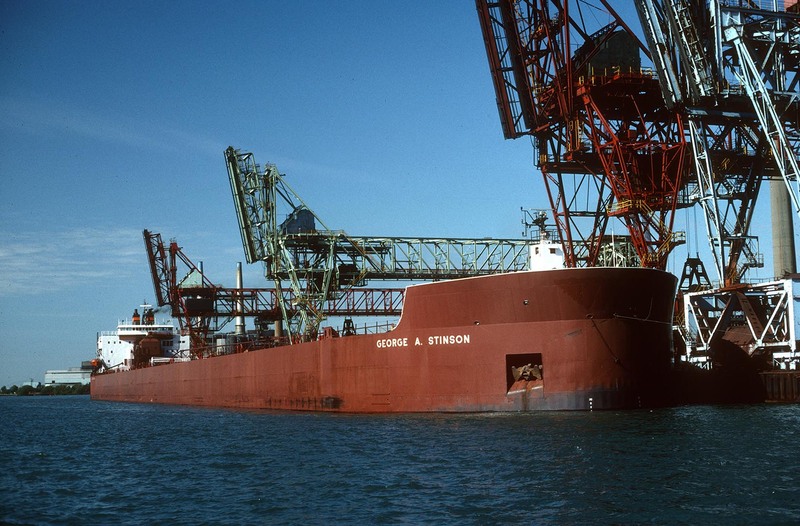 Sailing under the management of Hanna Mining Co., the George A. Stinson departed on her maiden voyage Oct. 14, 1978 in ballast to Superior, WI, to load iron ore pellets for Zug Island, Detroit, MI. 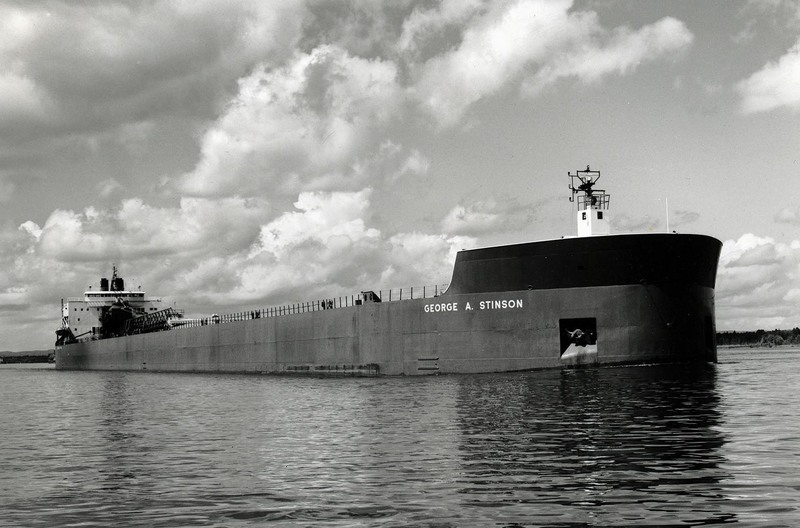 Not only was the George A. Stinson the only 1,000-footer in the National Steel fleet, it was the fleet's first self-unloader. 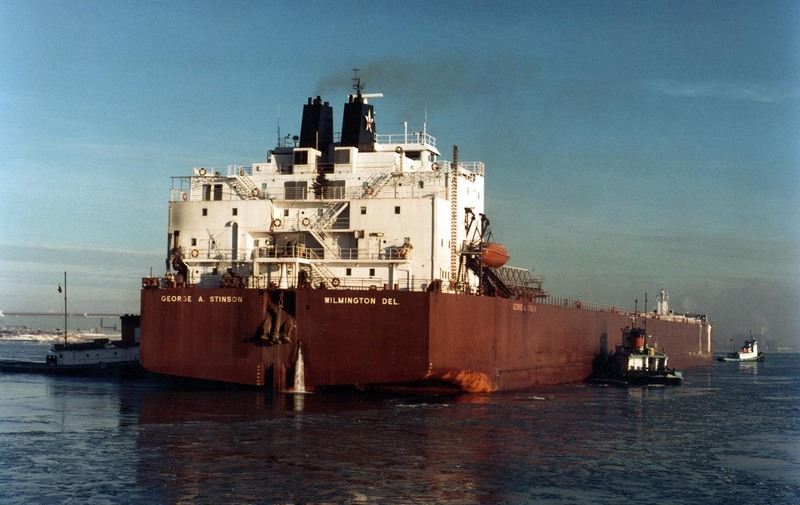 The other members of the fleet in 1978 were all straight-deck bulk carriers, namely George M. Humphrey (2), Leon Falk Jr., and Paul H. Carnahan, all of which were scrapped in the few years following the Stinson’s entry into service. George A. Stinson was powered by two Pielstick model 16PC2-2V-400 four-stroke cycle, single-acting 8,000 b.h.p. (5,968 kW) V-16 cylinder diesel engines burning intermediate grade 280 fuel; the engines being built by Fairbanks Morse Engine Division of Colt Industries International, Beloit, WI. The engines drive two controllable pitch propellers giving the vessel a rated service speed of 17.3 m.p.h. She is equipped with a 1,000 h.p. (746 kW) bow thruster. The vessel is capable of carrying 62,400 tons (63,402 mt) at a mid-summer draft of 28' 11" (8.81m), the cargo being fed into seven compartments through 36 hatches. The vessel's self unloading system feeds a stern-mounted loop belt elevator to a 260' (79.25m) discharge boom that can unload the vessel at a rate of up to 10,000 tons (10,161 mt) per hour. Other capacities include 580 tons (589.4 mt) of fuel oil and 45,069 tons (45,793.4 mt) of ballast water. 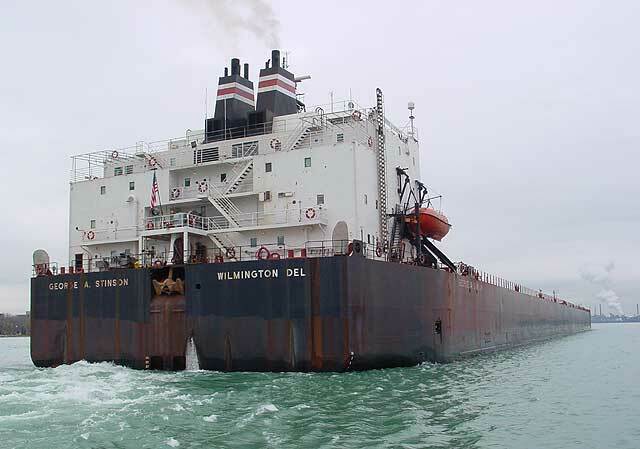 The self-unloader displaces 15,936 tons (16,192 mt) light ship. 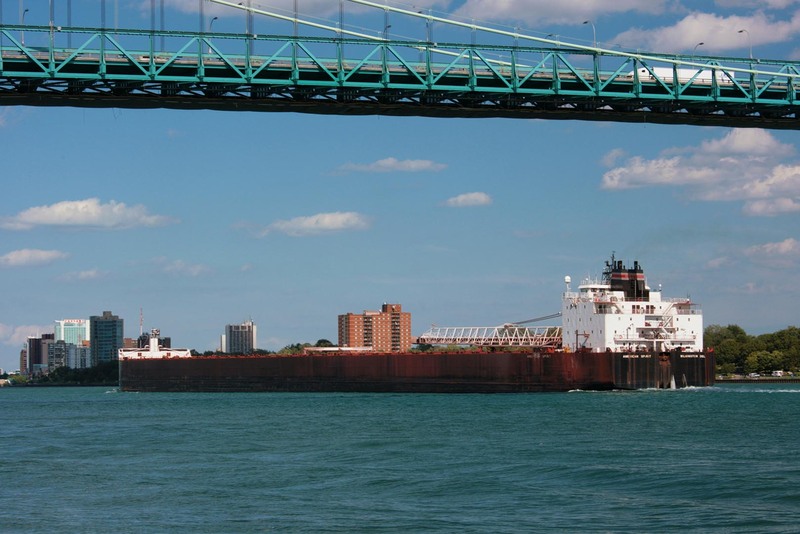 Only three months into her career, American Spirit struck a wall of the Poe Lock at Sault Ste. Marie, MI, causing an estimated $200,000 in damages. 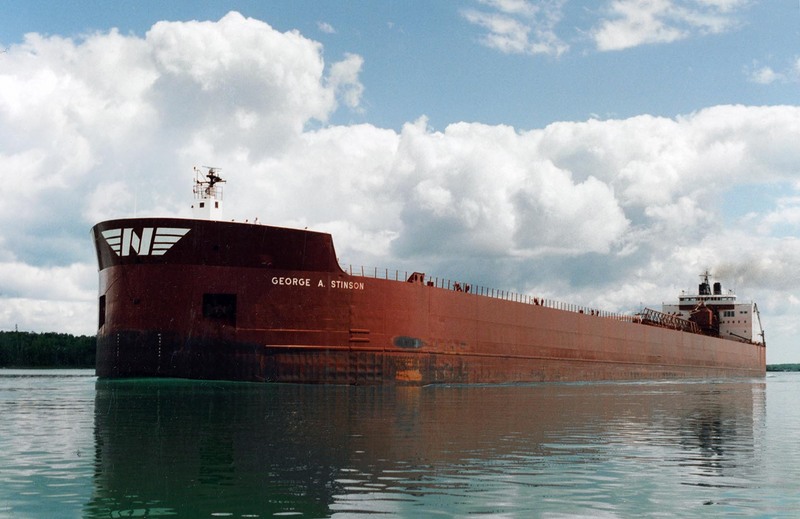 While operating late into her first season, on January 23, 1979, the vessel became stuck in ice north of Port Huron, MI, on Lake Huron. 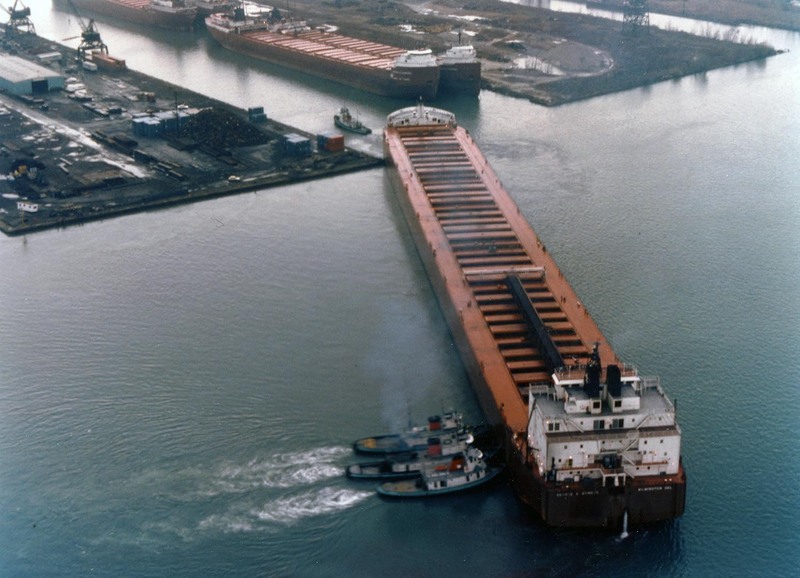 Later, on April 17, 1983, the self-unloading boom collapsed due to a mechanical failure while unloading at Detroit. 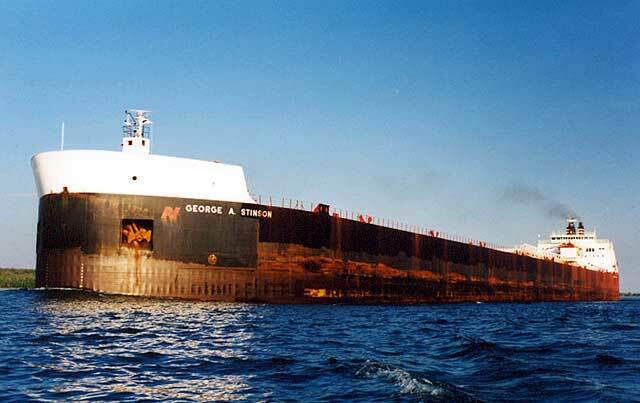 She continued operating as a straight decker until the boom was replaced on Sept. 20, 1983 at Sturgeon Bay, WI. 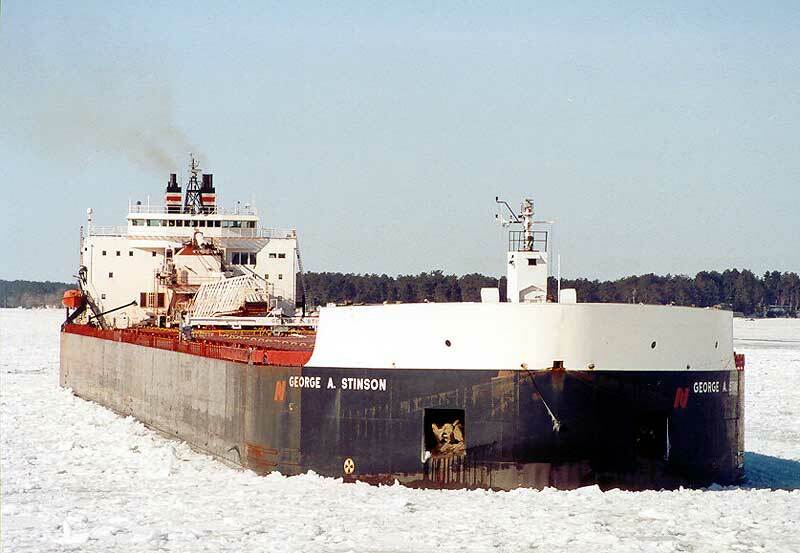 April 20, 1984 saw the Stinson aground in the St. Clair River near Marine City, MI, due to an ice jam. 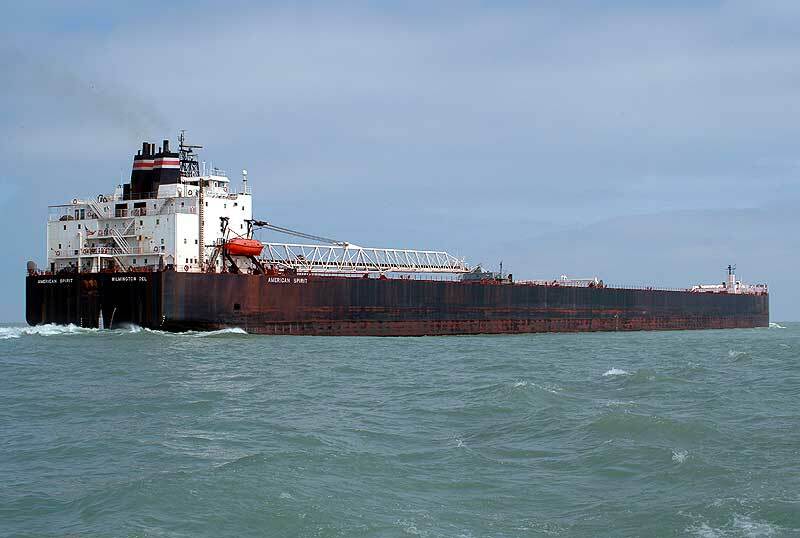 Part of her cargo of iron ore pellets was lightered into the Paul H. Carnahan before she could be freed four days later. 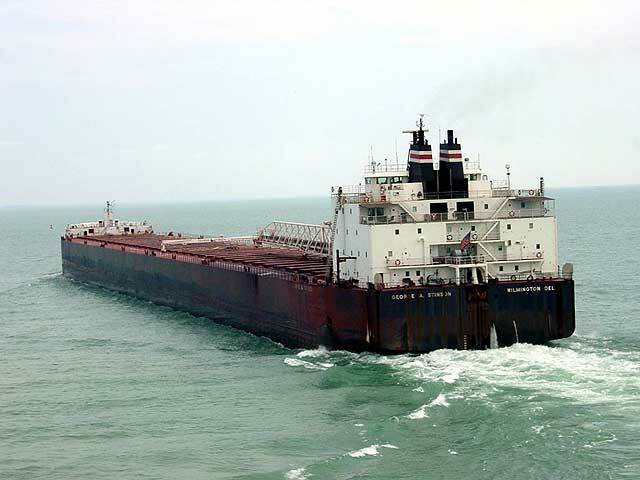 The vessel was also noted to have run aground while anchoring in heavy fog on September 5, 1996 off Gros Cap. 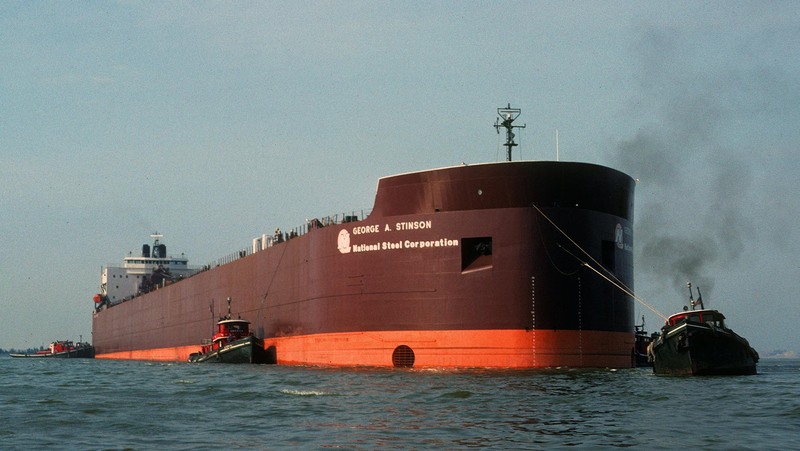 Skar-Ore Corp., Cleveland, OH, assumed ownership of the vessel in 1986, followed by Stinson, Inc. in 1989 with M. A. Hanna Co. as agents for both owners. 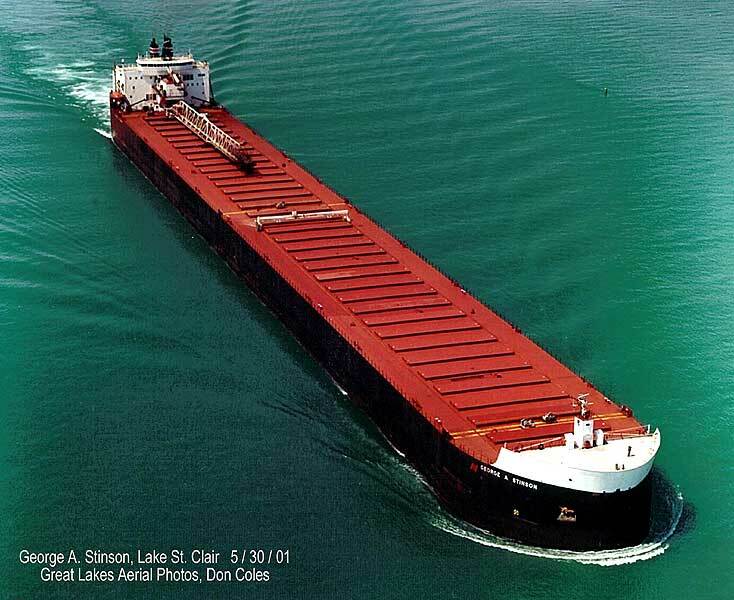 With Stinson, Inc. retaining ownership, the vessel was leased to Interlake Steamship Co. in March 1992. 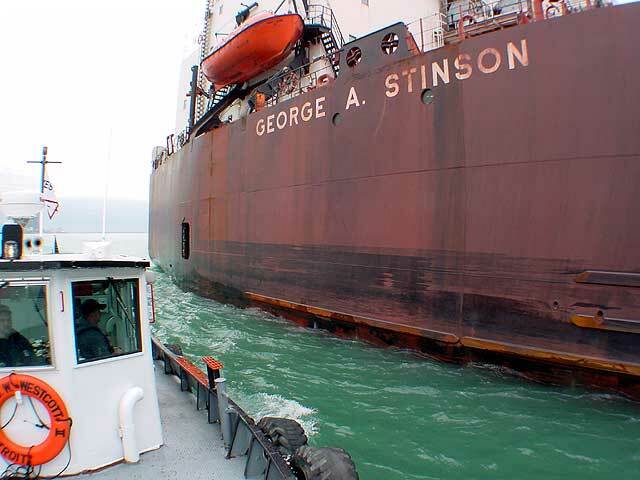 Upon expiration of the lease in 1996, American Steamship Co., Williamsville, NY, leased the George A. Stinson. 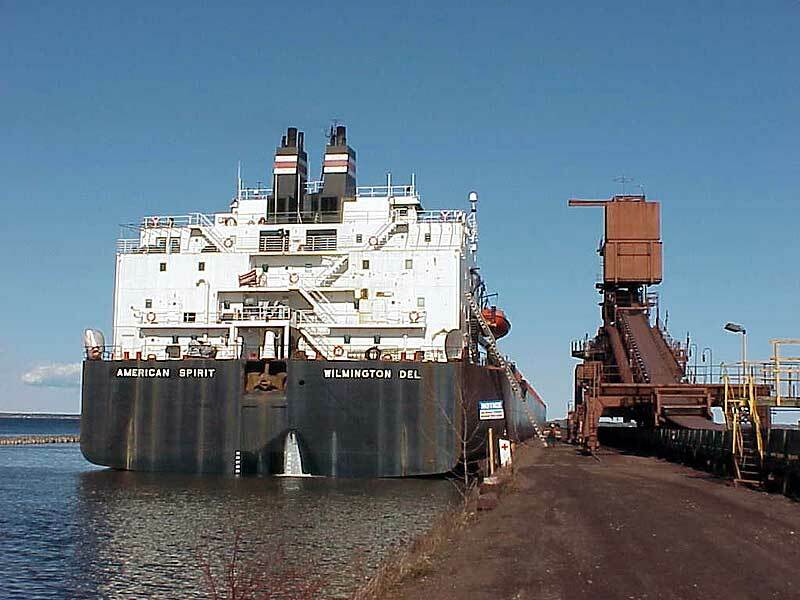 The large self unloader, painted in American Steamship colors displaying the National Steel red "N" just in front of her name on either side of her bow, operated on a dedicated basis for National Steel Co. carrying iron ore pellets from various upper lakes ports to its steel mill in Ecorse, MI, until May 2003. 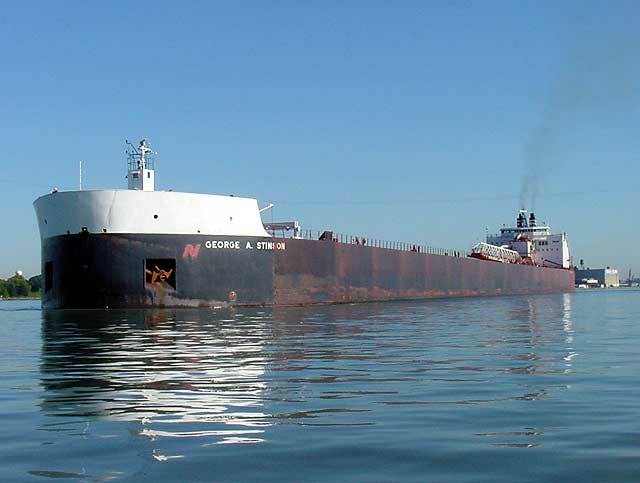 Even though the vessel was managed by American Steamship Co., the pooling of American Steamship and Oglebay Norton fleets (United Shipping Alliance, LLC) exempted the George A. Stinson due to the dedicated National Steel operation. 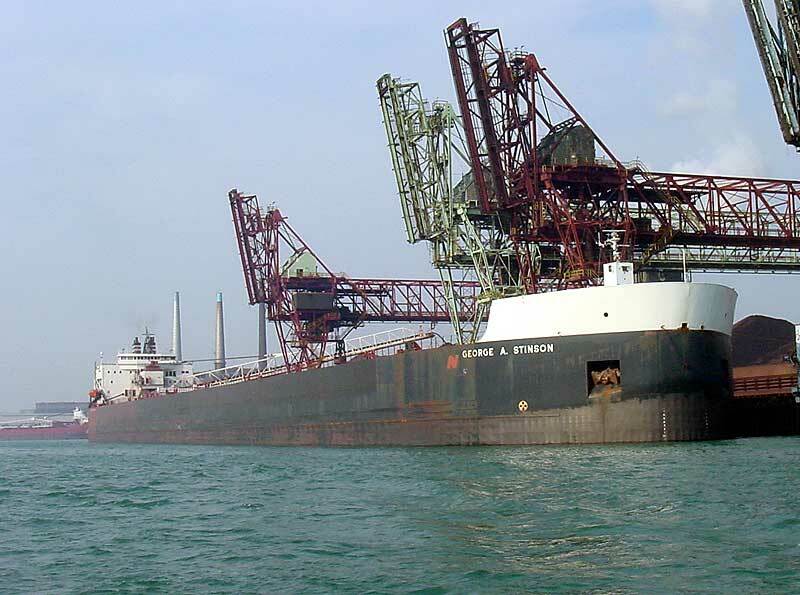 George A. Stinson laid up in mid-May 2003 following the purchase of National Steel by U.S. Steel, thus leaving the vessel without a cargo contract. 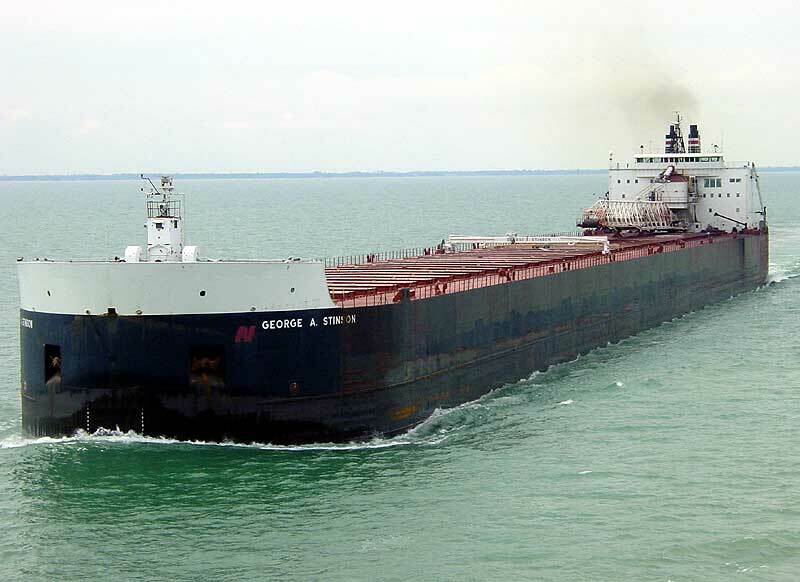 She re-entered service on November 10, 2003 (with a freshly repainted bow after the removal of the red "N") after being chartered by Great Lakes Transportation, Duluth, MN, for the remainder of the 2003 navigation season. 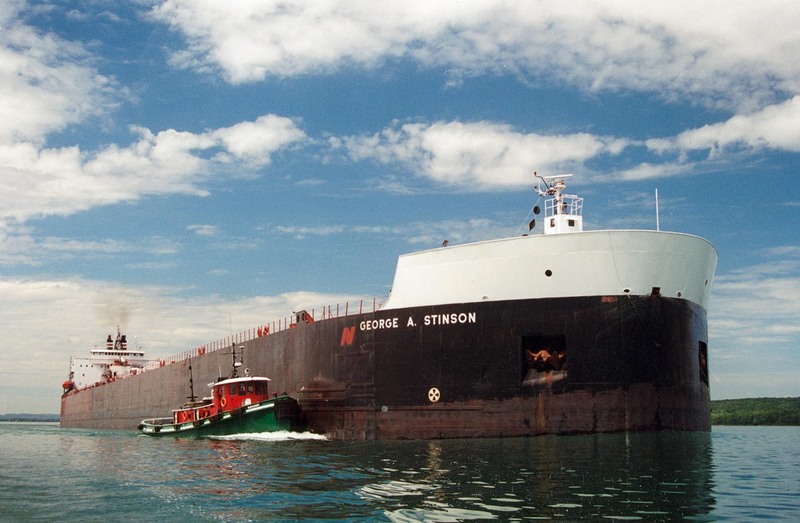 In January 2004, the Stinson entered lay-up at Bay Shipbuilding in Sturgeon Bay, WI. Among winter projects was the renaming of the vessel. 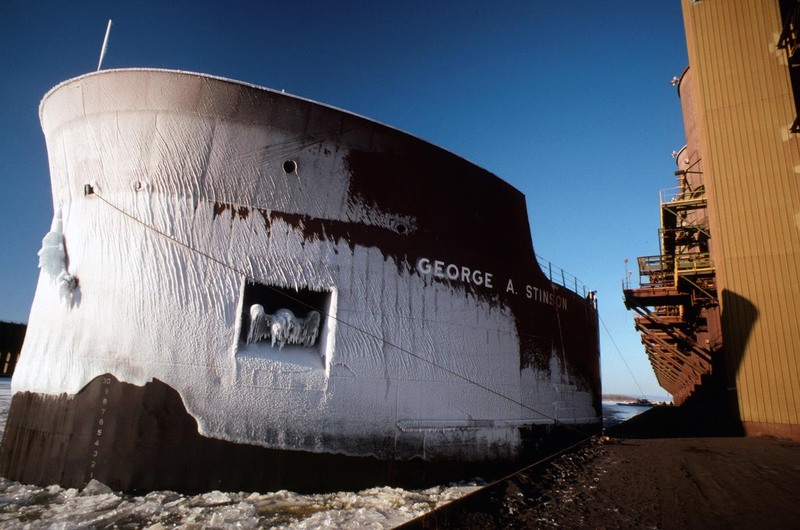 In late February, the George A. Stinson name was sandblasted off and the new name American Spirit was painted on. 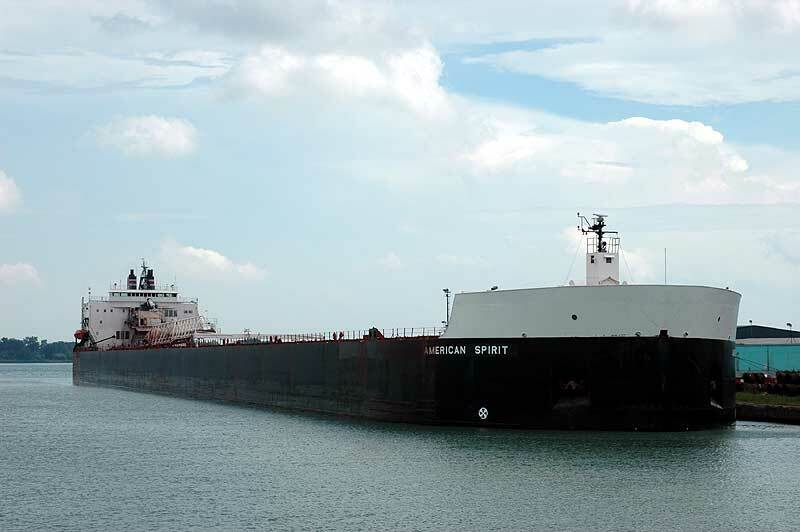 The new name honored "the spirit of the company's workers and the spirit of America" as stated by American Steamship Co.'s president and CEO Jerome K. Welsch during the naming ceremony at Sturgeon Bay. The self-unloader's new name was officially registered with the American Bureau of Shipping on March 15, 2004. 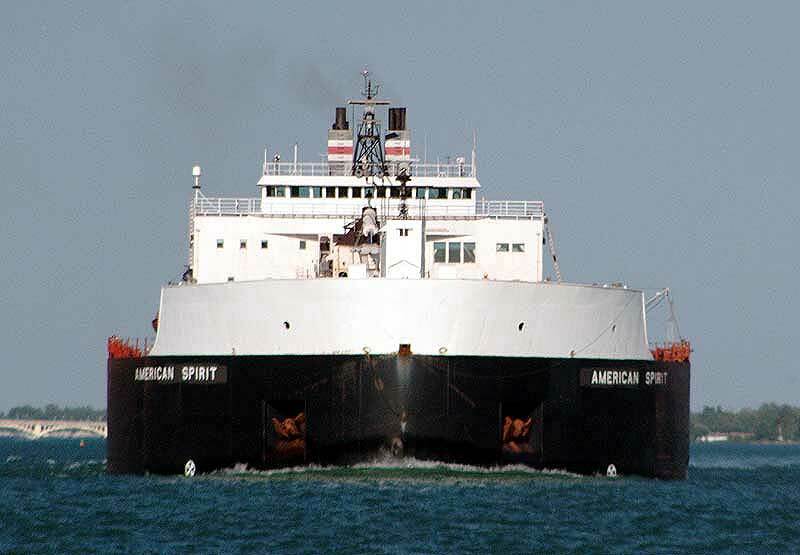 American Spirit grounded on the afternoon of Sept. 4, 2014 in Round Island Passage off Mackinaw Island possibly due to a seiche or other bad weather that moved through the Straits and knocked out power for much of the Eastern Upper Peninsula. 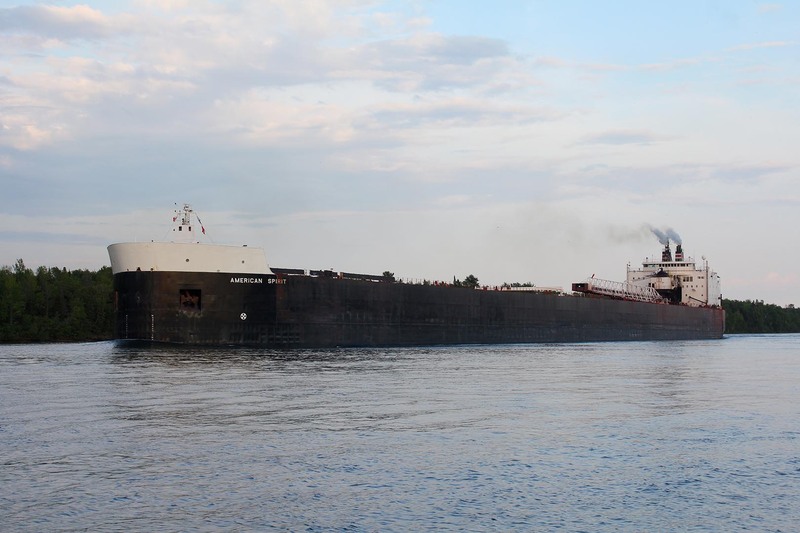 The vessel was bound from Two Harbors to Indiana Harbor with taconite. 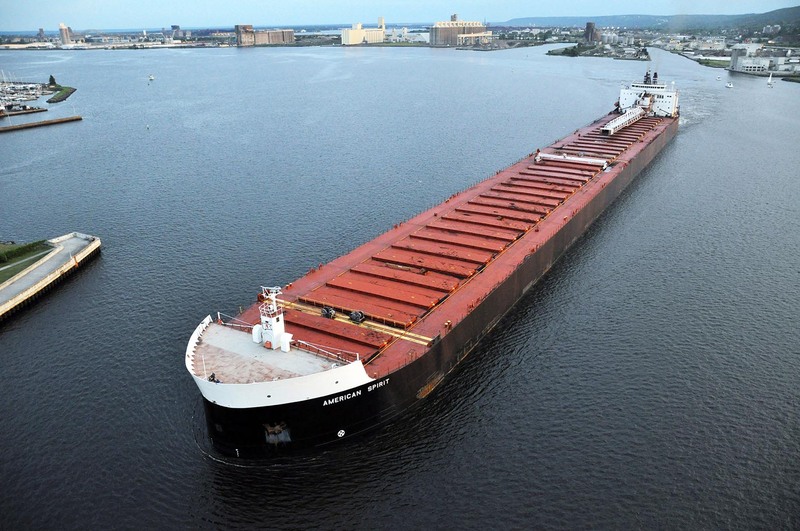 After lightering 5,700 tons of taconite into flee mate Sam Laud, American Spirit was freed the following day and cleared to sail with no damage recorded. 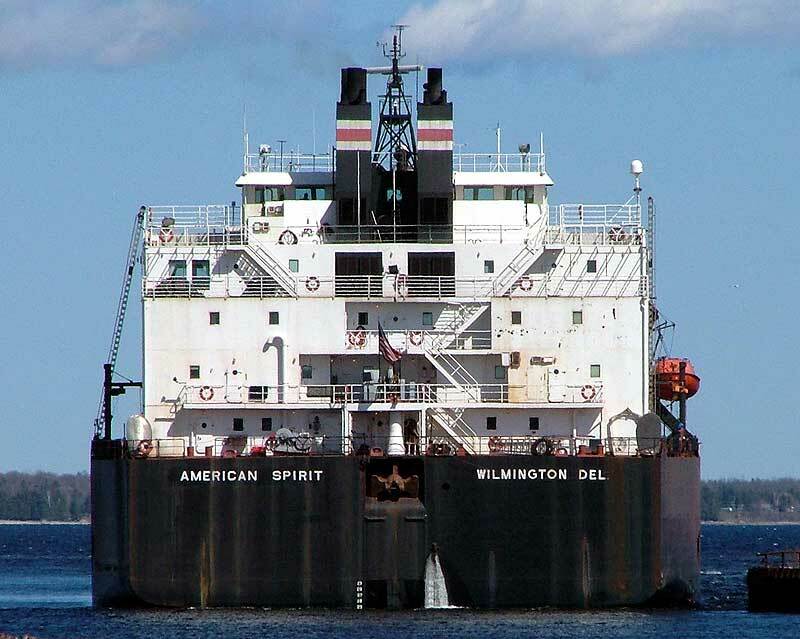 American Spirit is owned, operated and managed by the American Steamship Co. of Williamsville, NY, a wholly-owned subsidiary of GATX Corporation of Chicago, IL. 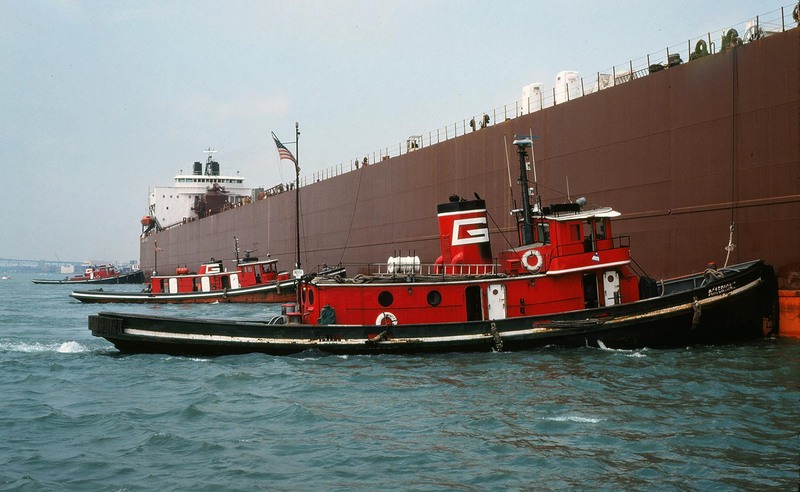 Arriving in Detroit under tow to be christened, Aug. 1978. The tug America helping to push her to the dock, Aug. 1978. Christening Day, Aug. 21, 1978. Wintery day in Detroit with the William A. Whitney passing by, 1981. Downbound in the lower St. Clair River. Going into Nicholson's for winter lay up with the help of the Gaelic tugs. Bow view of the effort. View of the wrecked boom from the winch station, April 17, 1983. View of the ram lying on the Spar Deck. The wooden bench and plastic sheet are covering a hole that was punched through the deck when the ram hit. Unloading at Zug Isand by bridge crane, May 1983. Bridge crane working the aft hold. 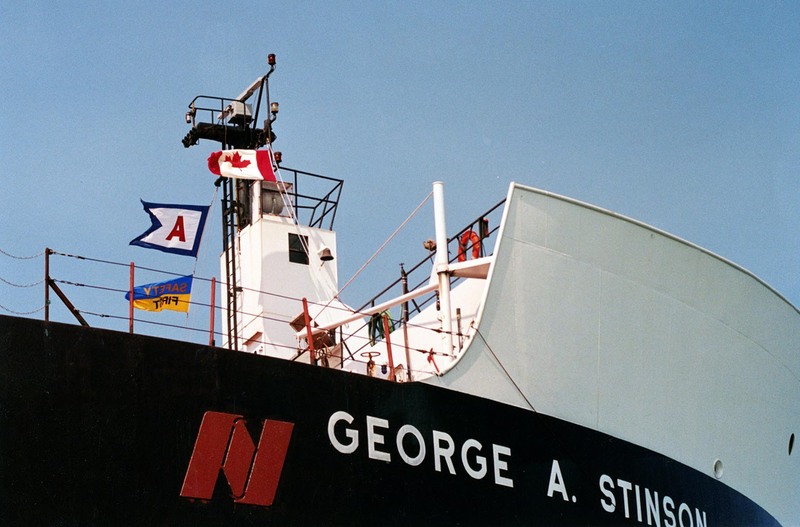 Close up of the stern without the boom, May 19, 1983. 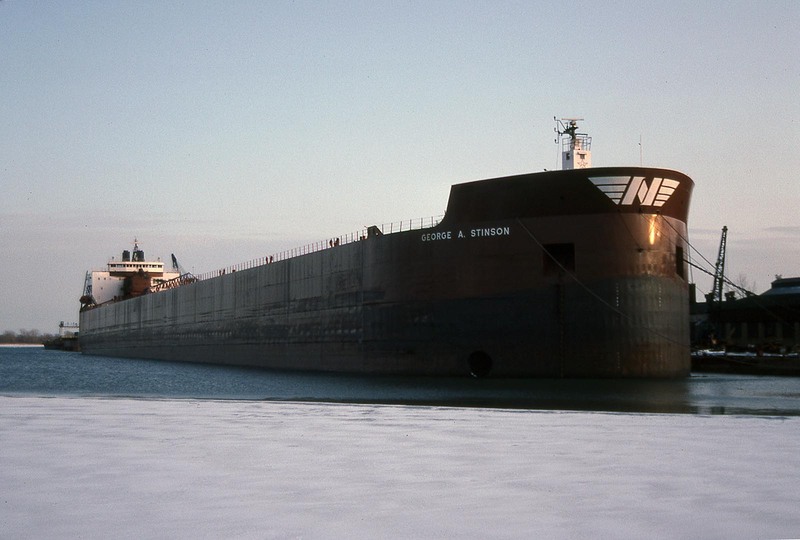 Upbound in Soo Harbor as a straight decker, May 20, 1983. Preparing to go into the Nicholson's Dock for winter lay up with the help of the Gaelic tugs. 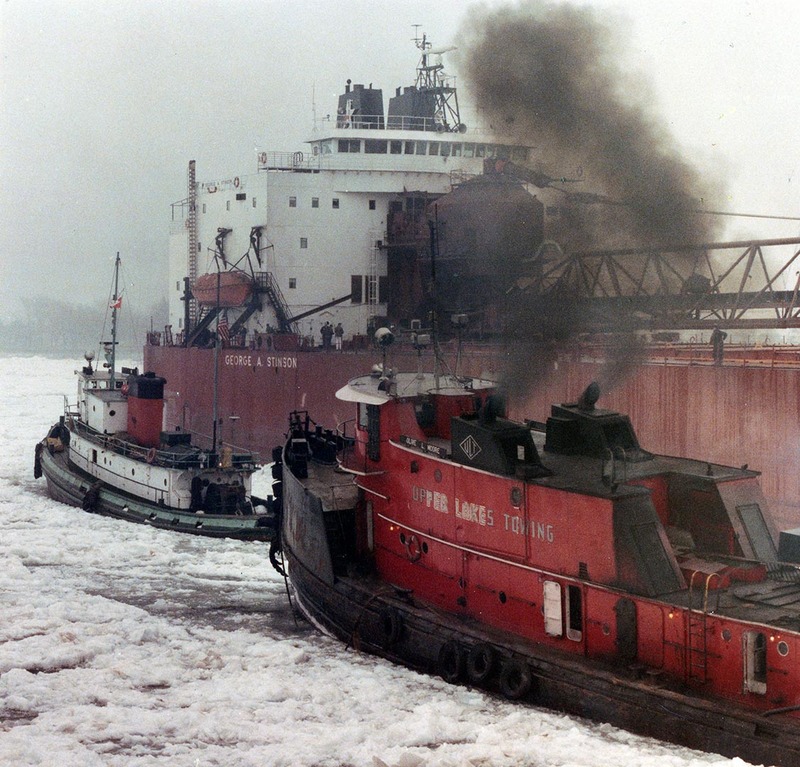 Tugs William A. Whitney and Olive L. Moore assiting in the St. Clair River ice jam, 1984. Tipperary bringing the bow around in Detroit. Laid up for the winter at the Nicholson's Dock in Ecorse, Feb. 8, 1992. 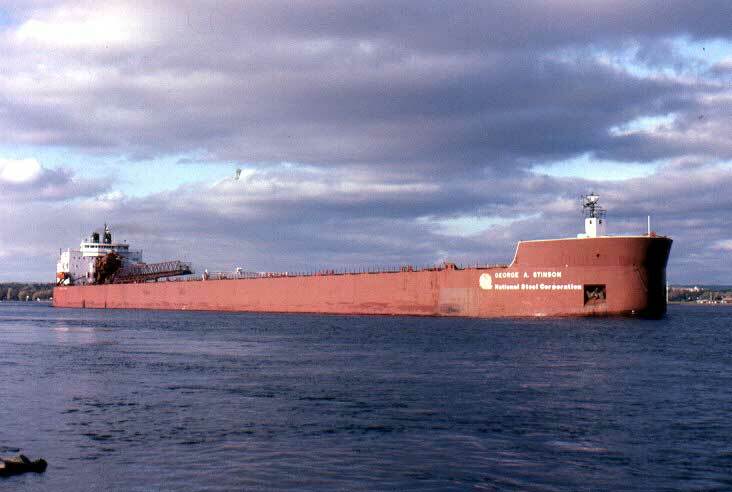 Upbound in the lower St. Marys River, 1991. Arriving in Superior with an ice covered bow. 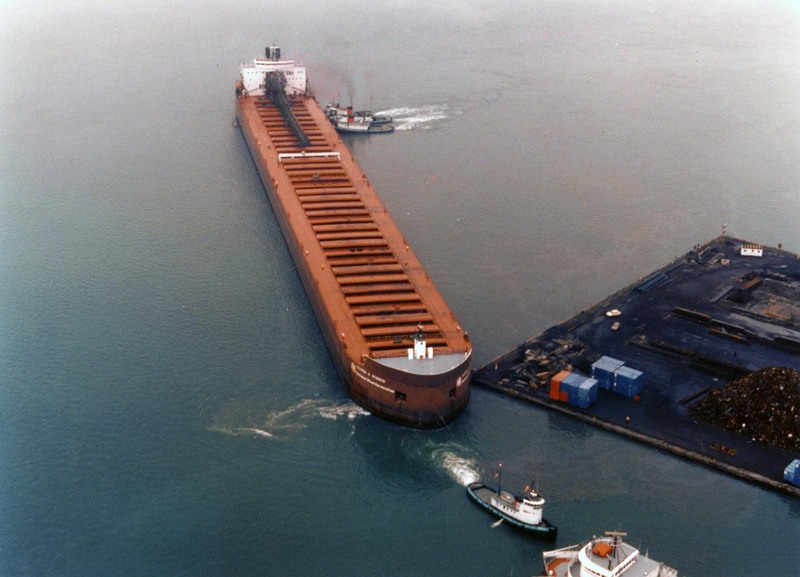 Unloading at Zug Island, May 3, 1993. Close up of the bow, 1998. 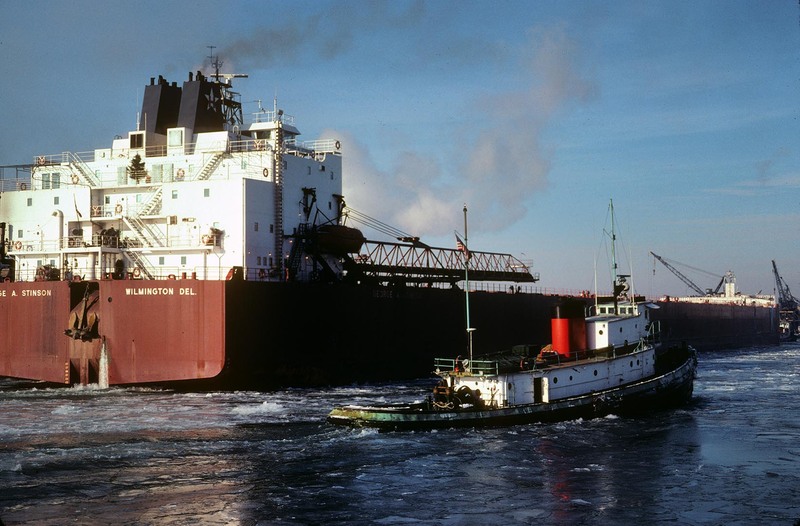 Downbound in the St. Marys River with the help of the Missouri, 1999. Open lake, May 30, 2001. Zug Island, July 5, 2001. Summer view. St. Marys River, July 2001. Detroit River, Sept. 30, 2001. Stern view Detroit River, April 13, 2002. Icy St. Marys River, May 22, 2002. Lake St. Clair, Aug. 6, 2002. Stern view Lake St. Clair. Zug Island, Aug. 11, 2002. Close-up of the freshly painted bow on November 10, 2003. It no longer bears the stylized N representing National Steel Corp. 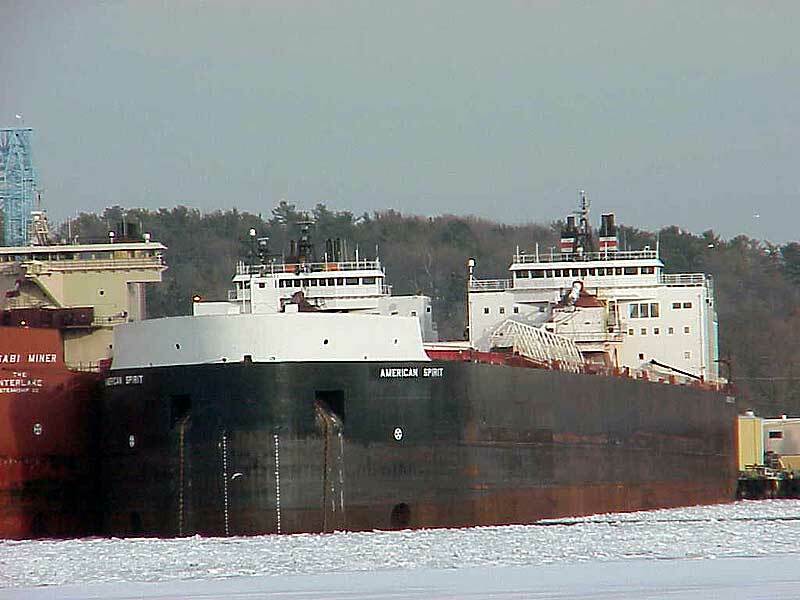 Newly renamed in Sturgeon Bay, March 10, 2004. Lake St. Clair, April 7, 2004. 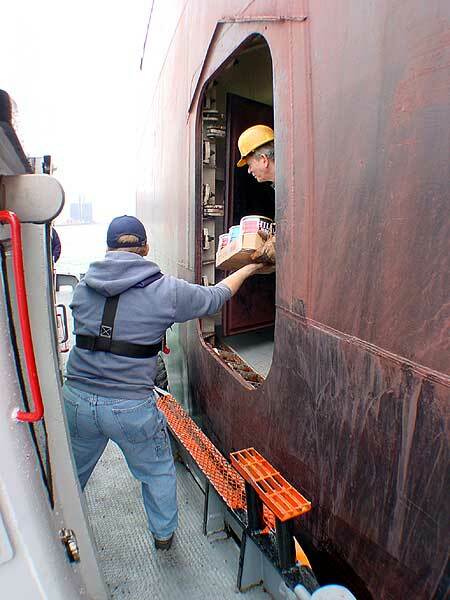 Loading in Escanaba, May 3, 2004. At the dock, May 3, 2004. Downbound approaching the Neebish Island ferry crossing, 2004. Zug Island, May 26, 2004. Below Mission Point, Sept. 5, 2004. Detroit River, Sept. 26, 2004. 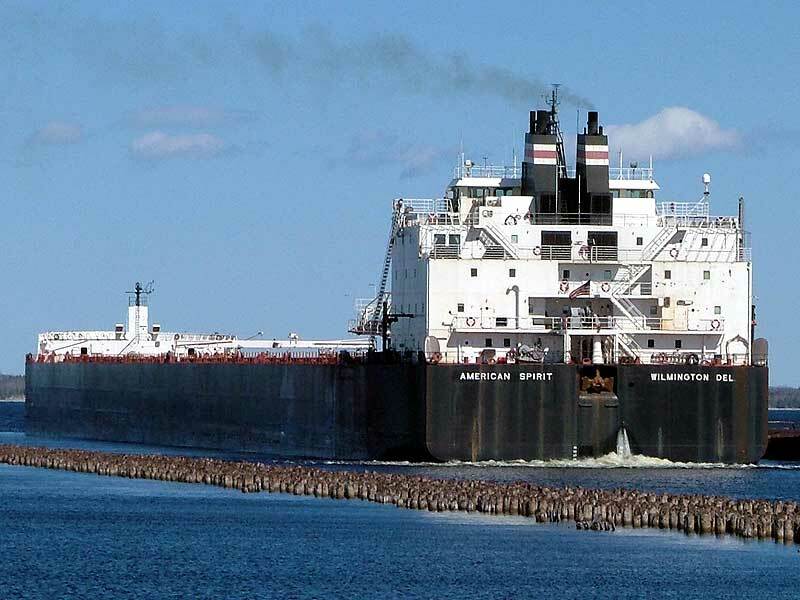 The Soo, March 25, 2005. 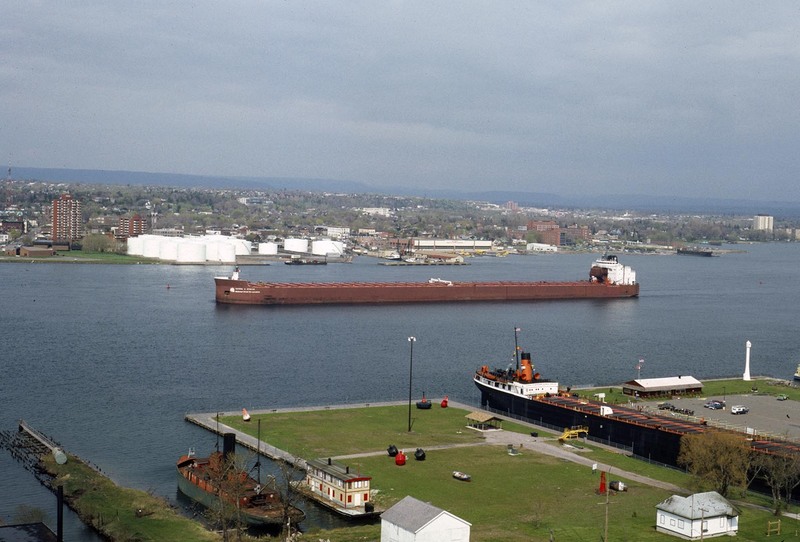 Zug Island with the Edwin H. Gott astern, May 22, 2005. Downbound, Grassy Island. June 20, 2005. 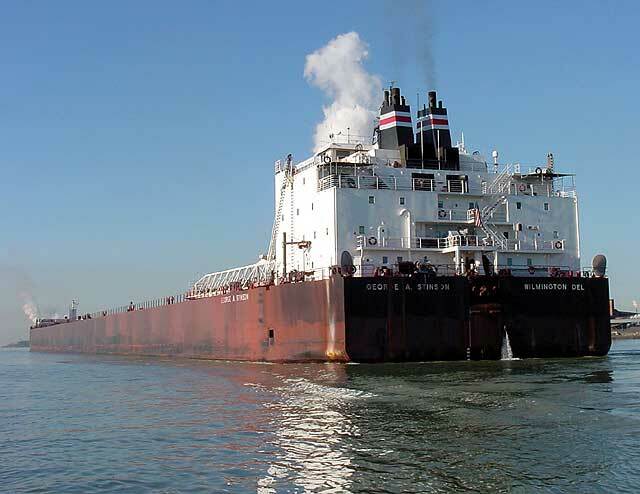 Downbound the Detroit River, Aug. 20, 2005. Being assisted by G-tugs at Nicholson's on the Detroit River. 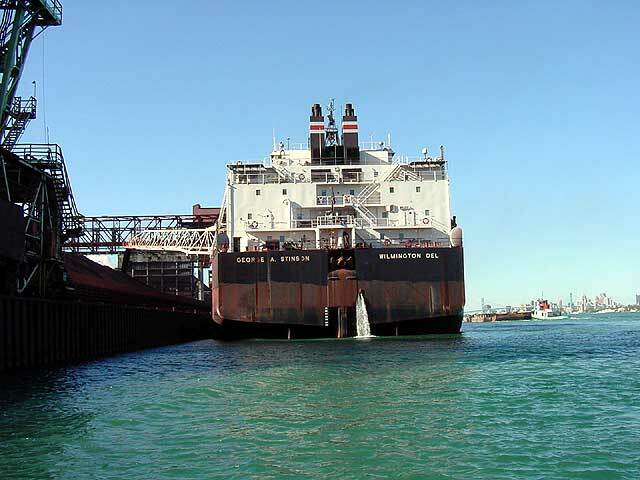 Downbound the Detroit River Sept. 11, 2005. Winter lay-up at Toledo, Jan. 2006. 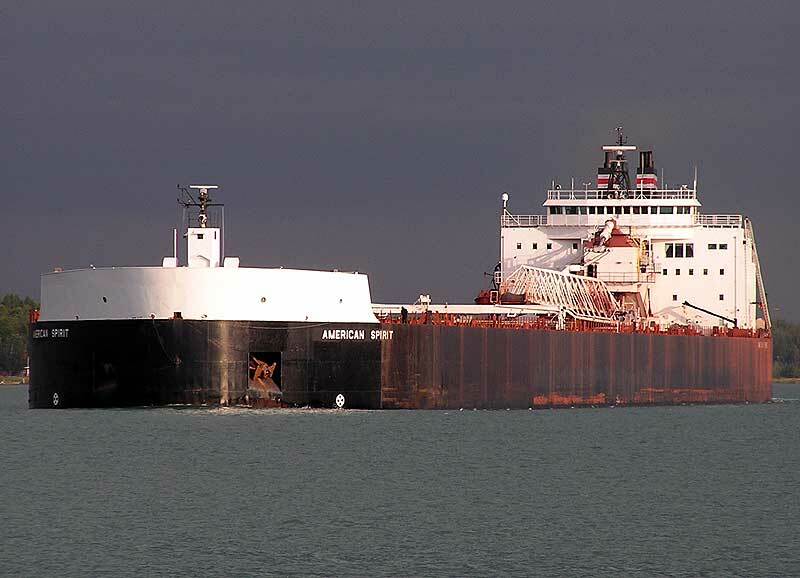 Loading at Two Harbors, May 19, 2006. Under the Bluewater Bridges, Nov. 2006. >Lake St. Clair, Oct. 26, 2006. Winter lay-up at Duluth, Mar. 2007. 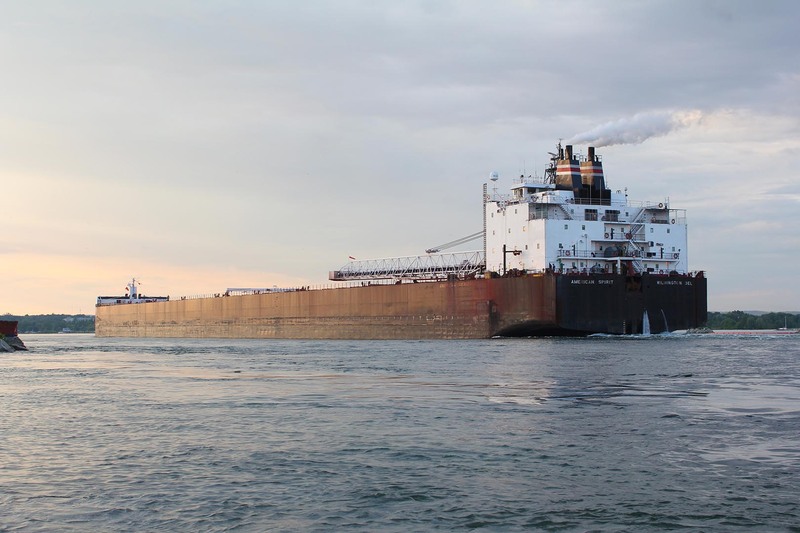 West Pier, upbound at the Soo, June 27, 2007. Lake St. Clair, Aug. 26, 2007. 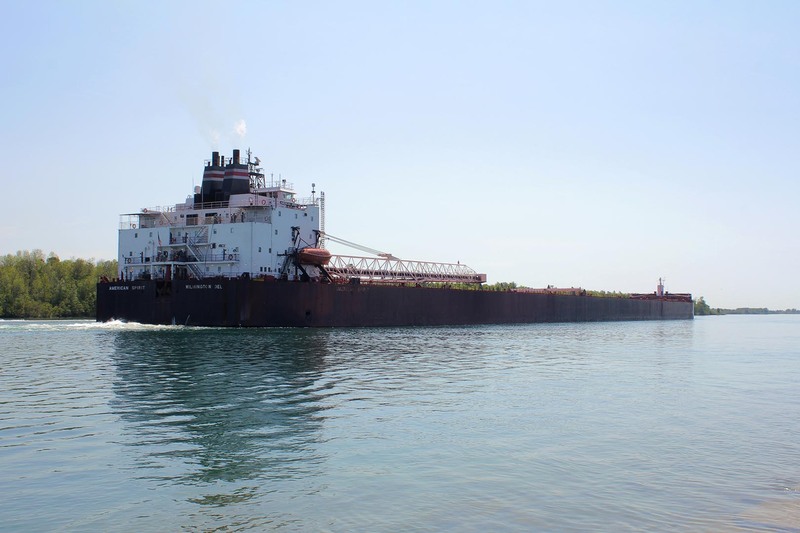 Downbound lower Lake Huron at Point Edward, Mar. 28, 2008. Detroit River, June 11, 2008. Lake St. Clair, Aug. 4, 2008. St. Marys River approaching the Rock Cut with the Frontenac in the background, Aug. 30, 2008. 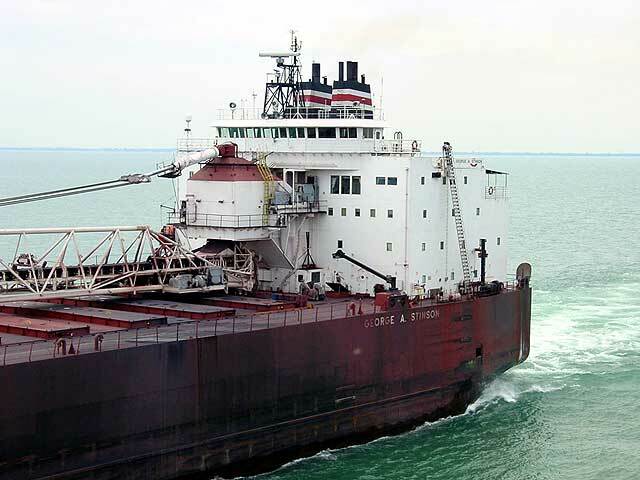 Downbound lower Lake Huron at Point Edward followed by the Algosteel, Sept. 6, 2008. Lower Lake Huron at Point Edward, Nov. 28, 2008. Loading taconite at Superior, May 26, 2009. Below Six-Mile Point on the St. Marys River, Mar. 27, 2011. Lower St. Clair River, Mar. 28, 2011. 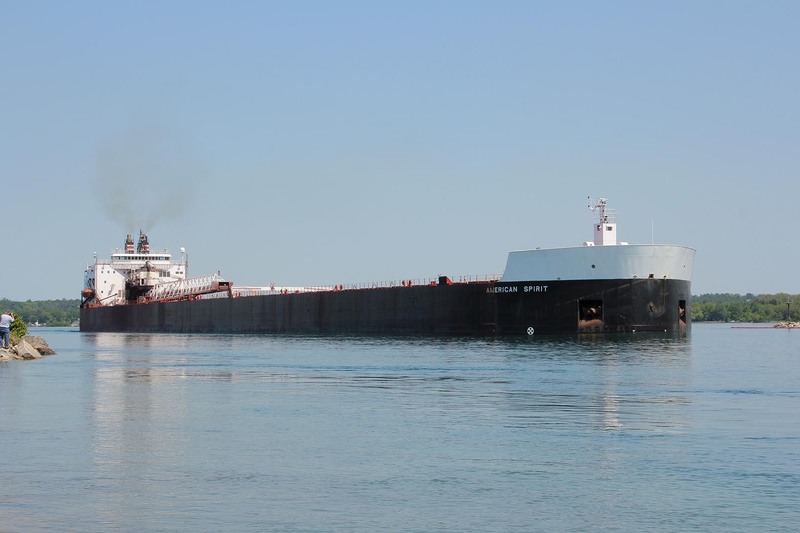 Lower Lake Huron turning at buoys 1 & 2, April 18, 2011. Lower S. Clair River, Mar. 28, 2011. Rock Cut, St. Marys River, May 21, 2011. 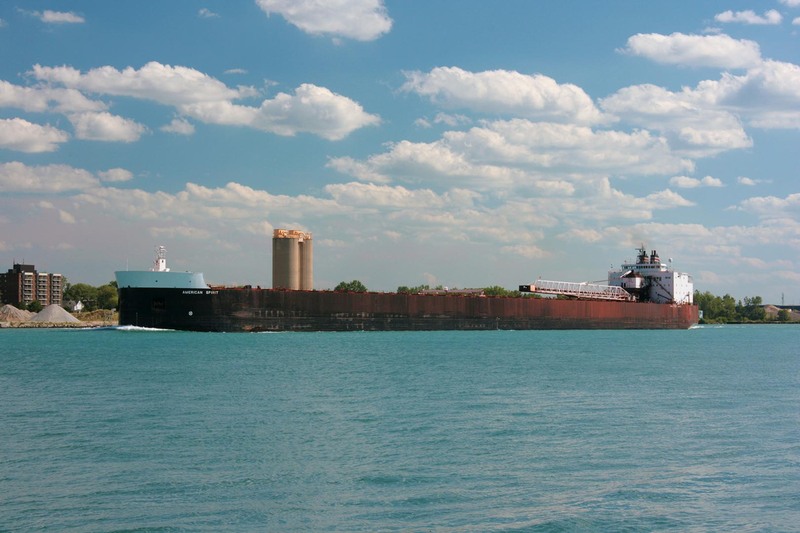 Upbound in Detroit, Aug. 5, 2012. Passing under the Duluth Aerial Lift Bridge for Lake Superior, 2013. Unloading at Zug Island, Sept. 21, 2013. Downbound at Mission Pt., June 24, 2016.